Manchester United have reportedly informed Paul Pogba’s agent, Mino Raiola, that the club will not consider offers of under £130m for the French midfielder in this summer’s transfer window. 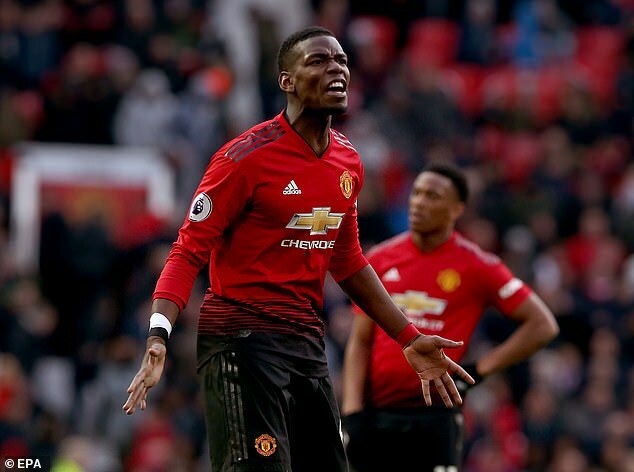 United was reportedly keen to hand Pogba the captain’s armband in a bid to convince the 26-year-old to snub interest from Real Madrid and stay at Old Trafford. According to Marca, the Red Devils could be opened to a sale, but the reigning European champions would have to come up with a bid of around £130m to land the 2018 World Cup winner. Solskjaer recently insisted that United would keep hold of the midfielder this summer, but it had since been reported that the relationship between the two individuals had deteriorated.